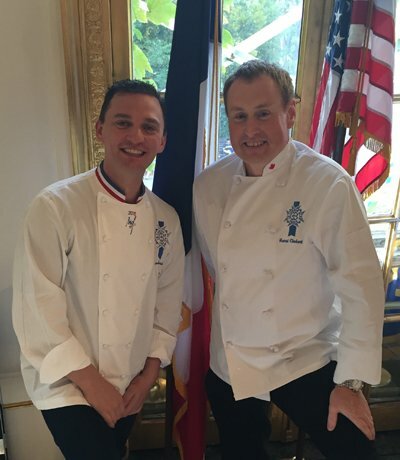 On the 21st of September 2016, Le Cordon Bleu was honoured to sponsor the launch of France Alumni USA, an international association for former US students in France. The event took place at the Cultural Services of the French Embassy in New York, gathering more than 200 people including Le Cordon Bleu alumni namely, Eric Bromberg, Bruce Bromberg, Steve Symonds, Kiri Tannenbaum, Abby Swain and Natalie Nieves. The French Minister of Foreign Affairs, Jean-Marc Ayrault, who visited on the September 1st the new Le Cordon Bleu Paris campus accompanied by more than a 100 French ambassadors, was the keynote speaker to present the new alumni association, a platform dedicated to former US students having studied in France and enabling them to keep their network alive with other alumni and companies. 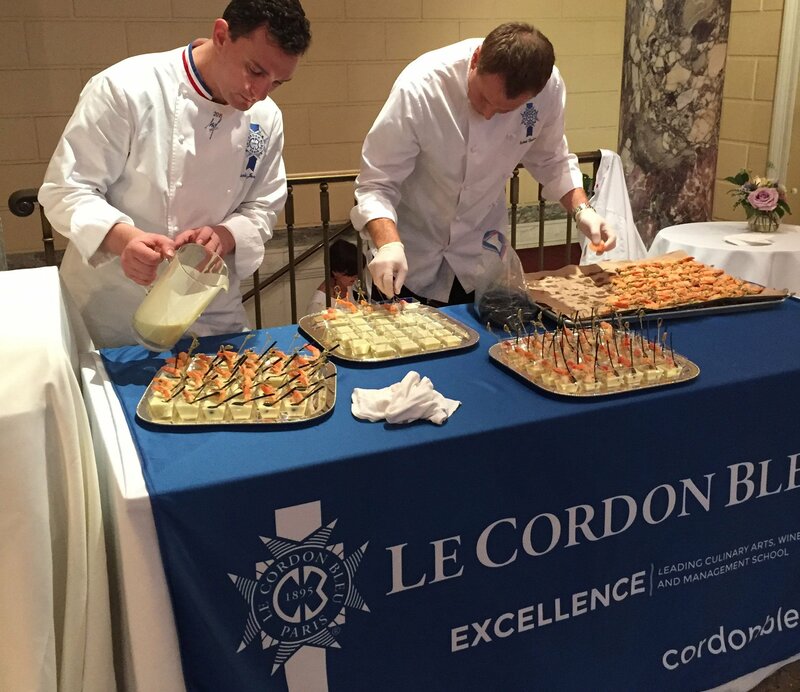 Le Cordon Bleu acted as a sponsor of the event. As such, Chefs Nicolas Jordan and Hervé Chabert from Le Cordon Bleu Ottawa were present to accommodate the venue with culinary animations while creating hors d’oeuvres for the guests and interacting with the crowd. Watch the interview of Steve Symonds, Le Cordon Bleu Paris Grand Diplôme at the event.